As a Medela customer, you benefit from our expertise in the science of expressing breast milk, as well as our portfolio of highest-quality products. Medela’s mission is to enhance mother and infant health through the life-giving benefits of human milk. This is why we add value with a unique package of research, training, education and support – sharing knowledge and ultimately improving outcomes for those who matter most: the next generation of infants in your care. Medela supports work in some of the world’s most prestigious universities, research institutes and hospitals, often challenging fundamental principles. • Ultrasound studies of the lactating breast¹ questioned established models of milk removal and rewrote the textbooks on breast anatomy. • Research into sucking patterns² changed scientific understanding of infant feeding. • Groundbreaking discoveries about the properties of human milk – for example how it contains stem cells⁴ – are continually improving and increasing appreciation of its powerful benefits. These and many other exciting findings are published in leading journals and presented at global conferences, including Medela’s International Breastfeeding and Lactation Symposium. Research-based knowledge is an integral part of Medela’s innovation process. Collaborating closely with healthcare professionals helps us design better products, backed by the engineering quality and attention to detail expected from a leading medical equipment manufacturer. Medela’s highly experienced employees regularly update hospital staff and rental businesses with information about new products and services. Our aim is to support healthcare professionals with appropriate, evidence-based solutions to help mothers at every stage of lactation. 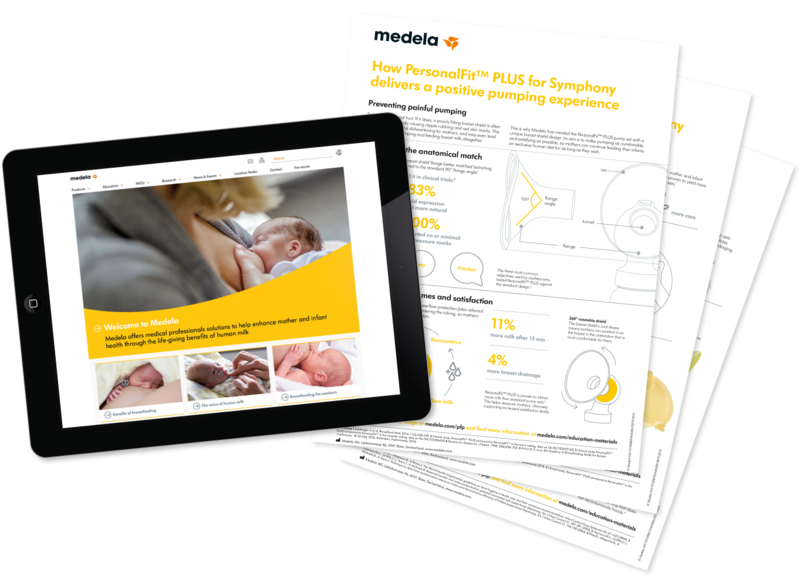 Medela also provides full product support – including face-to-face training – as well as guidance on best practice via how-to-use videos and technical factsheets. The quality and breadth of this service also mean that when mothers are ready to leave the ward, Medela customers can offer them hospital levels of care with confidence. 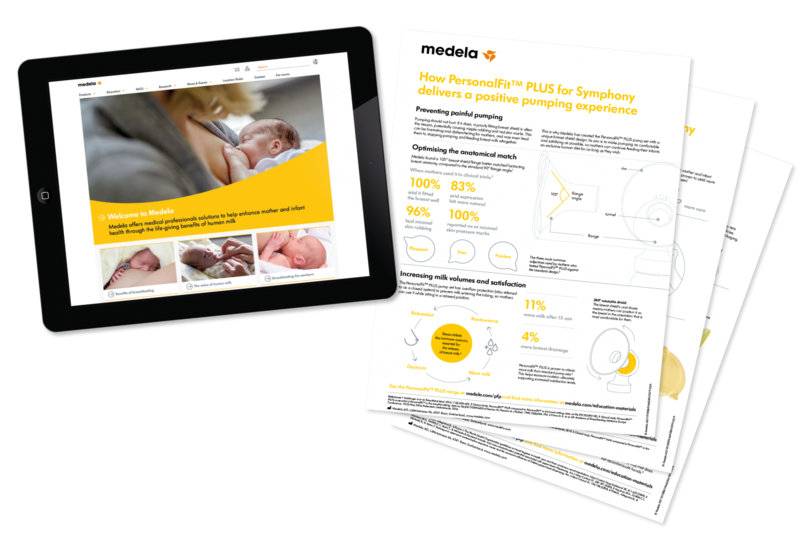 Medela strives to empower healthcare professionals and mothers to make informed choices by providing educational content, available through a number of channels, both on- and offline. These resources form a unique Medela knowledge ecosystem – all free to access and download. • To arrange a training session, contact your local Medela representative. All Medela clinical trials adhere to the independent standard for Good Clinical Practice (ISO 14155) set by the International Organisation for Standardization (ISO). They are certified by all national ethical and medical authorities in countries where they are conducted.